A Full Service SEO & SEM Marketing Partner With Your Business. We have one goal, to grow your business. We do this by collaborating with you and making your organization’s goals our goals for growth. Since the internet has been available to the public, Joshua Jarvis has been online trying to figure out how it works. While at college at Georgia Tech, Joshua completed web development contracts and digital marketing (of course back then, they just grouped all the online community into “web designers”). Around 2002, something called the “dot com” bubble burst and Joshua found it much harder to find these contracts. Instead of changing industries completely, Joshua founded Jarvis Team Realty as well as an e-commerce import store. As a real estate professional (and to a lesser extent the ecommerce business), Joshua learned what it means to be a small business owner and eventually what it means to have employees and co-workers that count on you as their provider. During this time Joshua leveraged his digital marketing skills in the Atlanta area to be his lead generation source for his businesses. 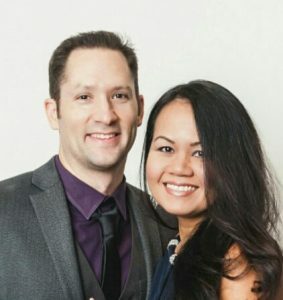 Joshua became well known in the real estate industry for his technical abilities and was asked to be a speaker at Keller Williams conferences as well as the national conference, Xplode. If there’s one word that defines Joshua, it’s growth. He’s constantly trying to improve himself, whether it’s spiritually, physically or entrepreneurially. Ultimately, this growth led Joshua to be a consultant to small businesses. 4RD Marketing truly has one purpose and that’s to help it’s clients achieve their goals, and we use a variety of marketing techniques to do this. 4RD Marketing is an Atlanta based full service digital marketing agency with a specialty in SEO. Whether you need help with Atlanta SEO, Real Estate SEO, Local SEO, PPC Management or more. We can do it for you. We offer a full online package for small business including hosting, support and content management, or you can hire us for smaller jobs. How I Went From Atlanta SEO Expert To Multi-Million Dollar Atlanta Real Estate Company Owner. 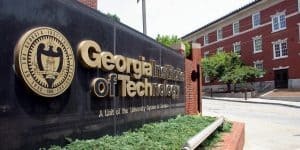 I graduated from Georgia Tech in the heart of Atlanta about 15 years ago. During this time I did digital marketing and web development as a freelance contractor (before anyone coined the term SEO Consultant). My specialty has always been with technical SEO and UX. IF you remember, 2002-ish is when the “dot com” bubble burst and I went from immediately having too many clients to no one. I began competing with SEO consultants and web marketers from India, Pakistan and other places. At the time companies were firing and outsources so fast and furious they weren’t taking the time to see who was the best SEO company but rather who was the cheapest. Now a full 15 years later I’m taking all the experience as a small business owner that I fueled with purely organic SEO efforts and using those same SEO tactics and tools for Atlanta based companies (as well as worldwide). Joshua Jarvis is the founder and CEO. Joshua has spent over 20 years developing websites and lead generating using SEO and SEM tactics. For 15 years as business owner in real estate and the rest as a freelance contractor.